Malaysian Water Partnership (MyWP) under the Global World Partnership (GWP) aims to create a platform and pathway to the community to be flood-proofing and adapt for climate resilience. Global Environment Centre has been entrusted as a working partner to implement this activity. 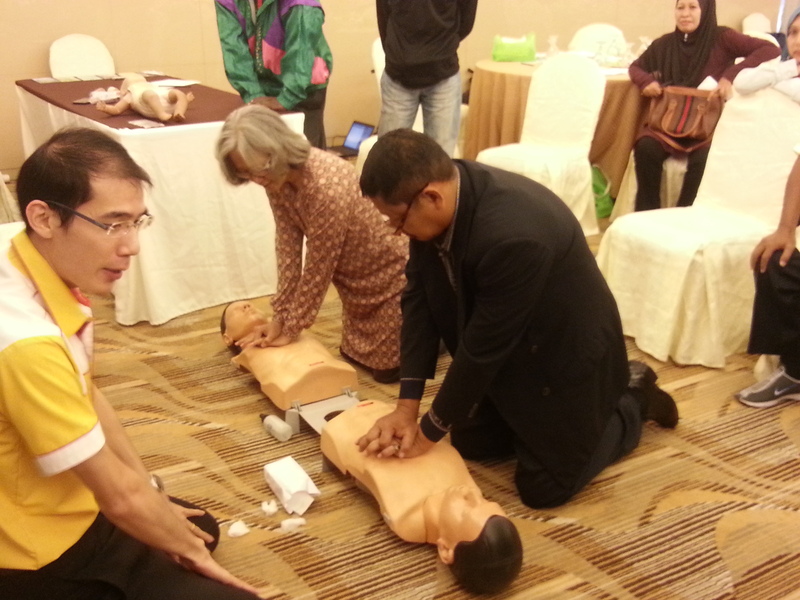 The flood preparedness training programme was targeted for 62 local community. The project focused on Flood ‘Town-watching’ training , water filter demonstration and grab bag preparation hands-on trainings. Target groups: Community of Kampung Sungai Pinang, Kampung Sungai Udang and Kampung Rantau Panjang. Aim/objective: The main objective of the project was to empower the targeted communities in preparing them for flood disaster through Flood Hazarded ‘Town-watching’ training as well as water resources management, emergency plan and preparedness for flood using Grab Bag and Kit 72H. A community handbook consist of basic information of initial step of preparedness before during and after flood was developed to train the targeted audience. Grab bags were distribute to the communities that consist of materials and tools for early preparation by community as well as the emergency contact details to assist the communities during flood. Three separate training sessions were organised for the communities, consist of flood hazards "town watching" training, potable water management training during floods and preparation of grab bag.